Much of the attention surrounding the opioid crisis has focused on the lives tragically lost to it. That focus is understandable, given the rapid climb in opioid-related fatalities in recent years, with nearly 50,000 deaths in the U.S. seen in 2017 alone. But rarely do we hear from those most personally affected by opioids—the people still regularly using these drugs. A recent paper from Canadian doctors is one of the first to collect personal accounts from these individuals in the wake of new laws and policies meant to curtail opioid overdose deaths. In many cases, though, they say these policies have only made their lives worse. Though the crisis in Canada isn’t quite as devastating as it has been U.S., it’s still pretty grim. In Ontario, the authors noted, one in every six deaths among residents between the ages of 25 to 34 is now linked to opioids. 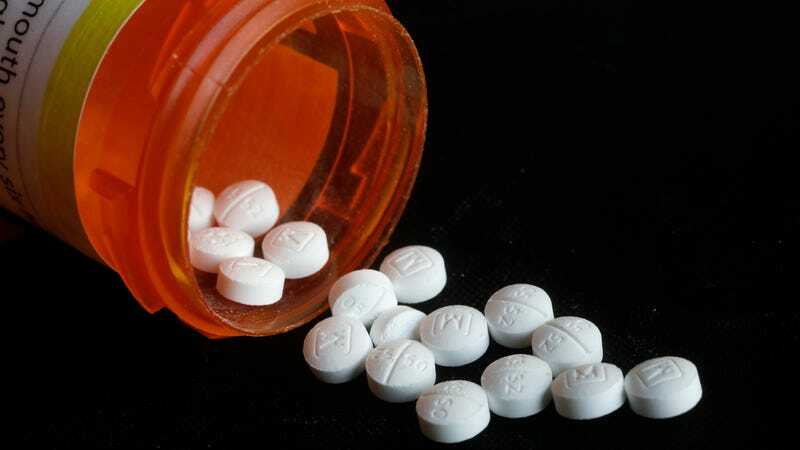 Governments and public health organizations in both countries have responded with policies intended to curb legal opioid use, such as restrictions on new opioid prescriptions by doctors, the removal of long-acting and powerful opioids from government health coverage plans, and even the forced tapering down of opioid dosages in chronic pain patients. The authors, all of whom are based at St. Michael Hospital in Ontario, conducted focus group interviews with two groups of adult volunteers: patients who were using opioids to manage chronic pain, and those who were using them for other reasons. People in the latter group included those with self-identified substance abuse problems as well as those who said they were taking opioids recreationally. Their paper was published online last month in the International Journal of Drug Policy. In total, eight group interviews were done with 48 people. Afterward, their interviews were combed over for common themes, all related to the impact they felt from new opioid-related policies and the overall change in societal attitudes toward opioids (In the research world, this is known as a qualitative study). Many of the pain patients, the authors found, struggled with now feeling stigmatized and branded as addicts who didn’t really “need” opioids, even by their doctors. At the same time, those using opioids for other reasons were critical of others who try to minimize or ignore the emotional struggles that contributed to their opioid use. Pain patients also often felt powerless, feeling as though their bodily autonomy and ability to make their own medical decisions was stripped away from them. That in turn led to breakdowns in trust between them and their doctors, with many reluctant to prescribe opioids and unable to provide suitable alternatives. “It’s like being put on an ice floe and shoved away, and now we have to go out on our own and try and figure things out,” one person said. Another common theme expressed by both groups is how recent opioid policies have worsened their social, physical, and financial situations. Some patients, as many doctors and opioid policy researchers have long warned, are now turning to illicitly bought opioids. “I have to go to the street just to survive…I am constantly broke because of this. I can’t work anymore because I don’t have enough of a supply [of opioids for pain] that I can get back and forth to work,” said one person. The greater use of illicit opioids, particularly powerful synthetic drugs like fentanyl, has been the key driver in increased overdose deaths in recent years, experts have said. Lastly, while those dealing with addiction were appreciative of some policies, like greater access to naloxone, the opioid overdose antidote, they lamented the lack of focus on structural problems underlying the crisis, such as poverty and homelessness. Last December, a task force assembled by the state of Oregon endorsed a plan that would limit the amount of opioids that can be prescribed under its Medicaid program for people with three pain conditions: chronic pain due to trauma, other chronic postprocedural pain, and “other chronic pain.” For those with fibromyalgia or centralized pain syndrome, it would force patients on opioids to be tapered off completely (the five conditions are not currently covered under Medicaid, so the taper policy would likely apply to people on an existing treatment regimen but whose coverage had switched to Medicaid). The Oregon proposal would also expand coverage of alternative pain treatments and was actually revised to be less restrictive, following heavy criticism from doctors and patient advocates. But many of these same groups have still attacked the new version as a misguided and harmful effort to prevent opioid abuse. If approved, the policy would come into effect in January 2020.